A ball played in behind the Spanish back line… Van Persie is there…. VAN PERSIEEEEE!!!! 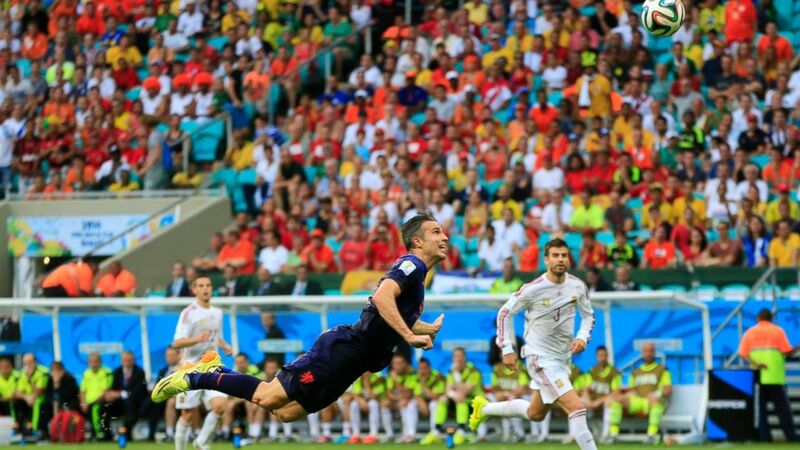 Van Persie laid out completely and brilliantly lofted (likely an LB+B maneuver for those FIFA enthusiasts) the ball over a helpless Iker Casillas. Now I’m awake. Wide awake. Jaw dropped. 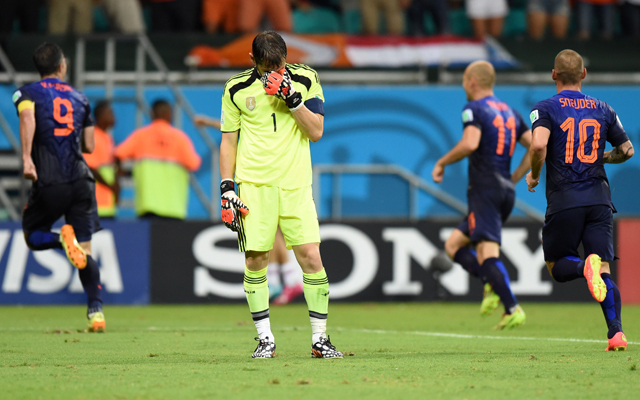 The tika-taka cadence had been replaced by the thunderous cheers of thousands of Dutch fans in a play that will perhaps be remembered as the moment when tika-taka football of the Spanish was finally knocked off the great footballing throne. Spanish fans were unconvinced. Of course, it was just one half and the game was only tied. Certainly, Iniesta and company would come out in the second half and finish the job… The rest is history. Holland 5. Spain 1. Humillación Mundial. Global Humiliation. Is this the end of an era? Or is this just a minor road bump for the tike-taka footballers? They did lose their first match in 2010, but nothing to this degree… Will the reigning world champions recover? Only time will tell.